Food supplement 100% natural formula. Sensor fat burner and appetite moderator. CaloriLght directly captures fat from your food and promotes their elimination. 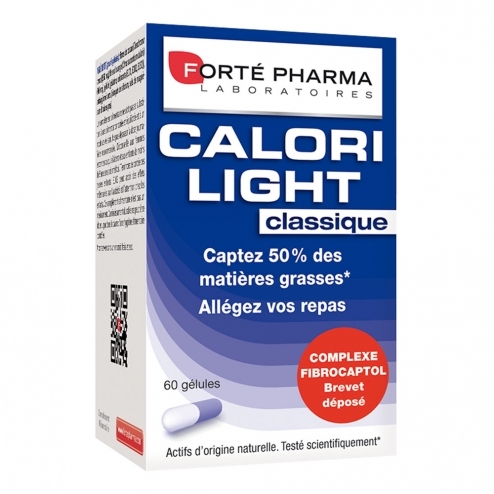 CaloriLight slows the absorption of sugar and fat storage. CaloriLight also provides a rapid feeling of fullness that helps you control your appetite. Take 2 capsules with meals to reduce (1, 2 or 3 times a day). Depending on body size and wealth meals, it is possible to go up to 4 capsules per single dose. CaloriLight may also be taken continuously. Mini-blisters and nomadic practices, to be carried everywhere! A food supplement should not replace a varied and balanced diet and a healthy lifestyle. Comply with the instructions for use. Do not exceed the recommended daily dose. Pregnant women or allailent and children less than 8 years without medical advice. Keep out of reach of young children. Ausun contains animal ingredients, gluten free, GMO free and gelatin. This dietary supplement is not a drug.